Price listed is for six glass stones. 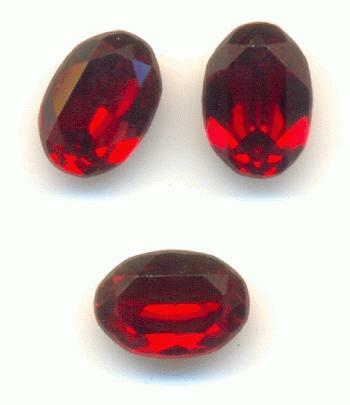 These are Swarovski Siam ruby oval rhinestones that measure 7mm long by 5mm wide. They have faceted tops and pointed gold foiled backs.